A very happy Travelbizmas to all of our readers, followers, trade partners and advertisers. It’s been another fantastic year which would not have been possible without your amazing support. We have covered more trade events than ever before including over 40 overseas Fams! Our all new Travelbiz directory diary has reached more readers than ever before, with more trade partner content, profiles, pictures, destination updates and features for you to enjoy. Our Social media platform continues to grow with more trade interaction, readers and followers joining our network every day. We will be launching some new and exciting products in 2019, so stay tuned. 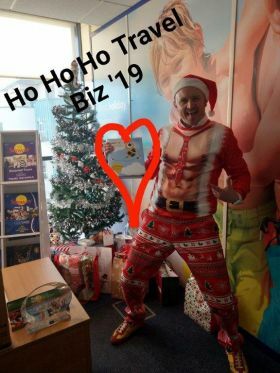 On behalf of all the award winning Travelbiz Team, have a great Christmas and a very happy, healthy and profitable 2019. Travelbiz will reopen after the Christmas break on Wednesday the 02nd January 2019.